Posted: Mon Apr 15, 2019 9:27 am Post subject: Adapting a popular lens.. I remember fitting a door viewer into a cap back in the '70's and using it on my Zenit. Once the necessary exposure had been established it was a bit of a novelty, but the image quality hardly justified the effort! Not so crazy.....I did it back in 2012 and it worked. I 'fixed' a door viewer threaded into a flexible plastic lens cap and stuck on the front of a lens. For the snowdrop picture I used a 28mm lens, on my Pentax K10. It's not a mega-buck fisheye, it's a bit of fun. 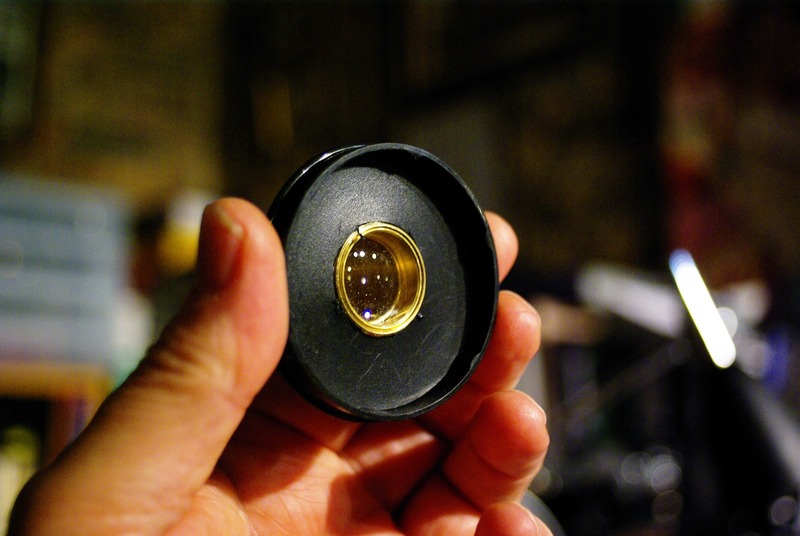 I did something similar to this with an old 8mm format Wollensack 1/2" lens (about 6mm). I drilled a hole in a 49mm lens cap, and glued it in place, but I reverse mounted it, so that it would increase the magnification. Mounted the cap to my Tamron 90mm macro. 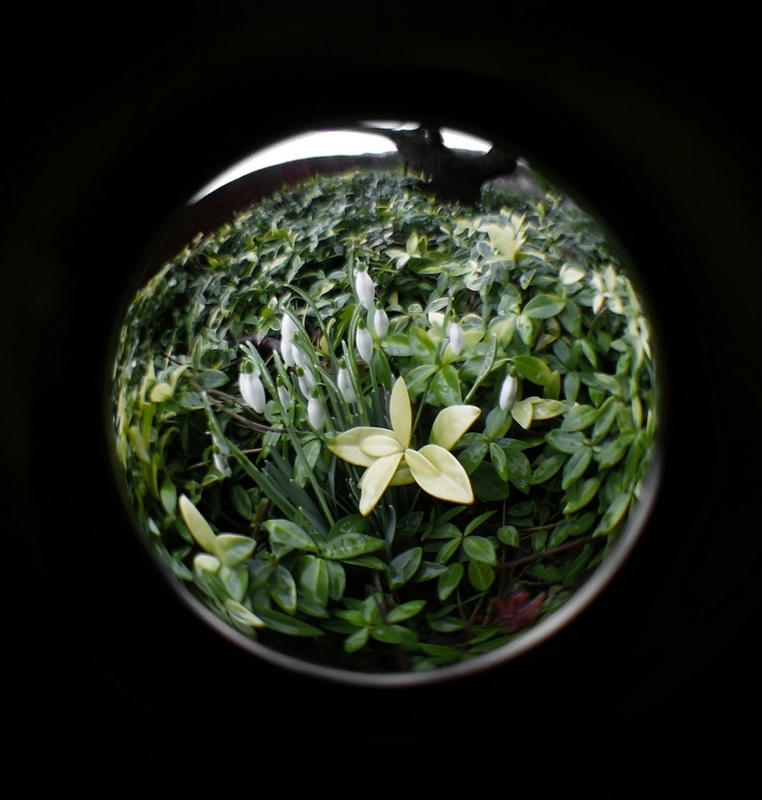 Unlike the door lens, it doesn't do a fisheye -- in fact, it delivers a full-frame image, at tremendous magnification. Sharpness is quite good. I really don't need another fish-eye, but this appeals to the point I just couldn't resist spending £1 on a door viewer from e-bay. 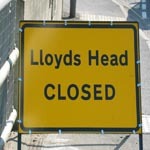 Lloydy, a very good quality of sample shot that one does not expect from a humble spy hole! And finally, the high magnification image. Resolution's not bad, eh? I was kinda surprised I got a full frame image with no vignetting from that tiny 1/2" lens, but coverage was decent. A great thing about using 8mm format, aka "D" size lens mount lenses, is those old lenses are dirt cheap. 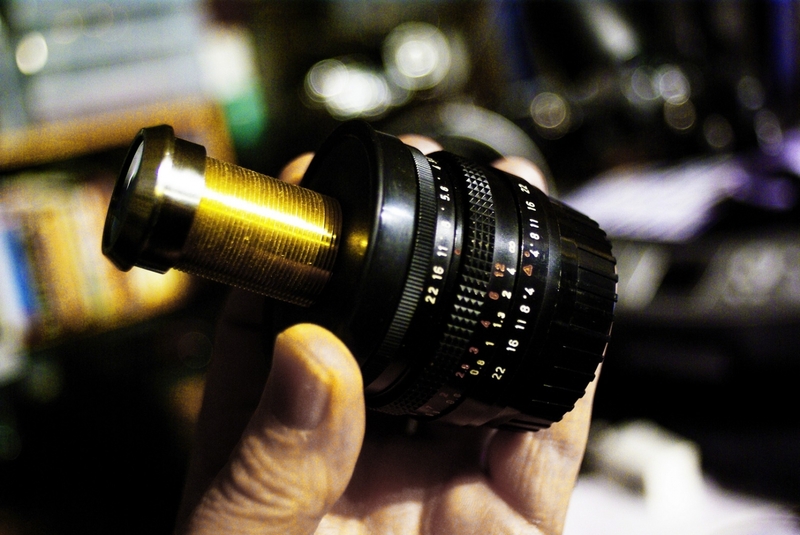 Some of them, like the Swiss Kern Palliards built for the old Bolex 8s are optically excellent, but somewhat pricey. But as you can see, even that lowly old Wollensak did a decent job. I don't think I paid more than about $5 for that old Wollensak. Another important thing to remember whenever reverse-mounting a lens is, the wider angle the lens, the greater the magnification.